Our collision center will provide you with a computerized estimate or work with your own insurance estimate to restore your Mercedes-Benz and, above all, your peace of mind to a pre-accident state. From the smallest shopping cart ding to a major auto collision claim, we at Autohaus on Edens are committed to work closely with your insurance company to see that you are provided with nothing short of the highest quality repair. Visit our collision center and take advantage of the numerous services we offer: everything from free computerized estimates to quality control inspection upon completion of repairs. We will guide you in making the proper decision, like whether to file a claim or not, if you should go through your insurance provider, or file with the other party’s insurance company. At Autohaus on Edens, we work with all insurance providers, arrange for a rental vehicle for you, and guarantee all repairs we make. It is illegal for an insurance company to steer or attempt to dictate where your vehicle can or must be repaired. 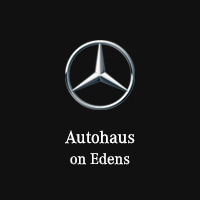 Your vehicle is not generic and is in fact one of its kind, this is where Autohaus on Edens surpasses your average auto repair shop. Our collision center specializes in Mercedes-Benz vehicles, amongst others; equipped with the latest technologies, tools and equipment, we will confidently restore your Mercedes-Benz to factory specifications.